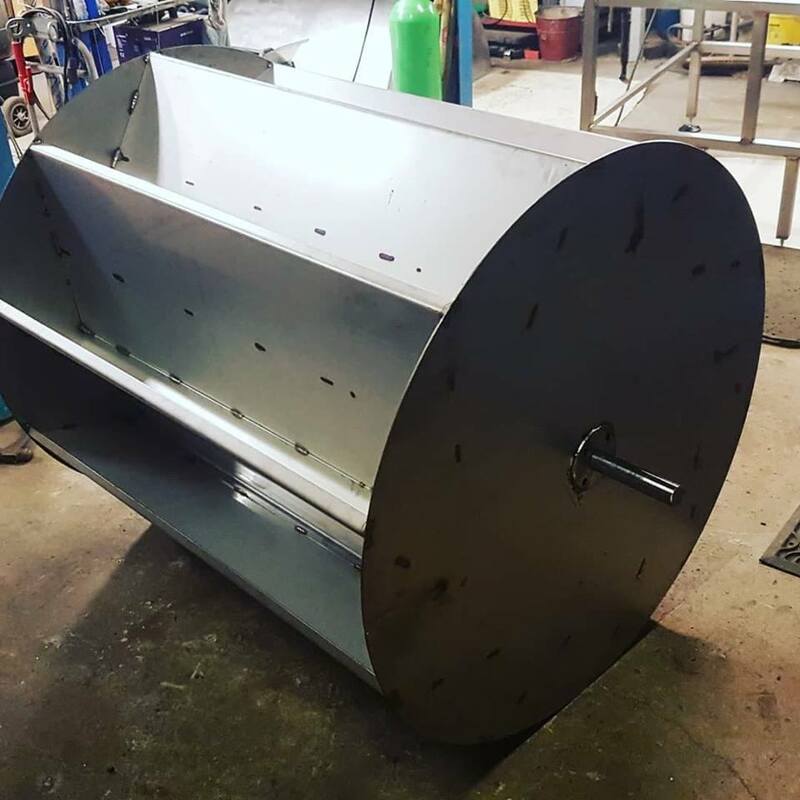 SAS Welding Services recently carried out some fabrication work for an industrial kitchen in Bristol on a potato washing machine. The original machine was 30 years old and needed a replacement. 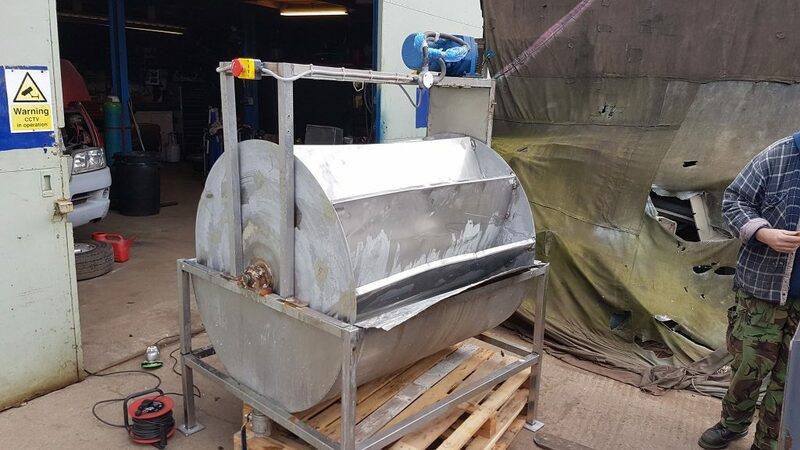 Due to the specialist nature, we remanufactured it for them with a new heavy duty one to replace it. 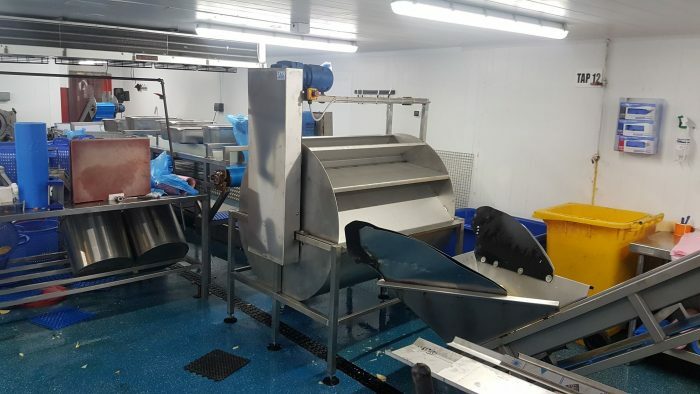 This potato washing machine is fed by a conveyor with piled potatoes on it, they then go under water on the big wheel and then land on another conveyor that goes to a bagging machine. 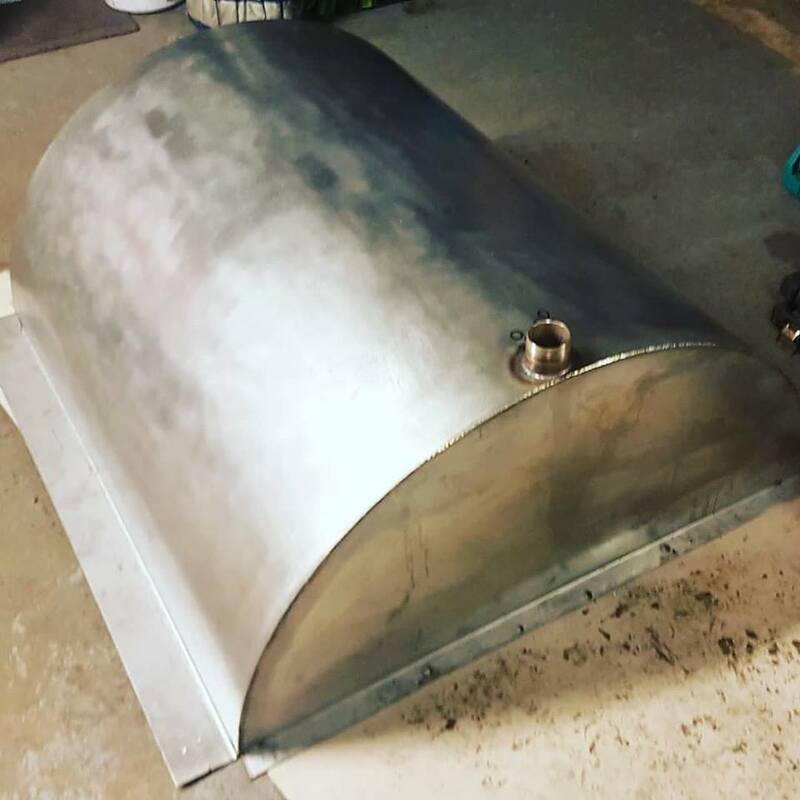 Made from 316 stainless steel and fully TIG welded. 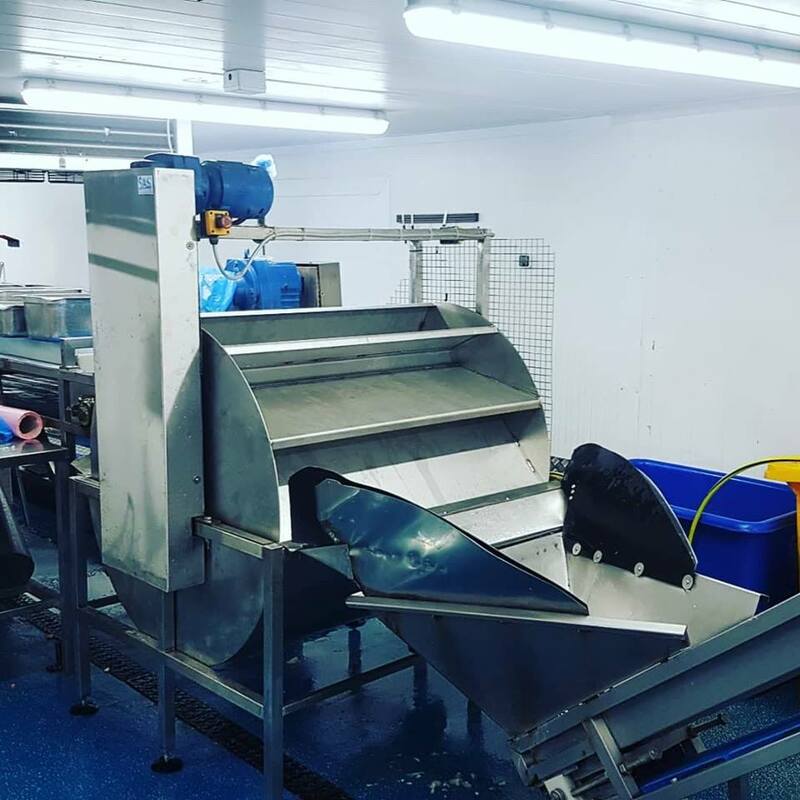 The new machine was custom fabricated and made in our workshops in Glastonbury, Somerset and then installed into a busy production line in Bristol at a fresh fruit and veg factory. 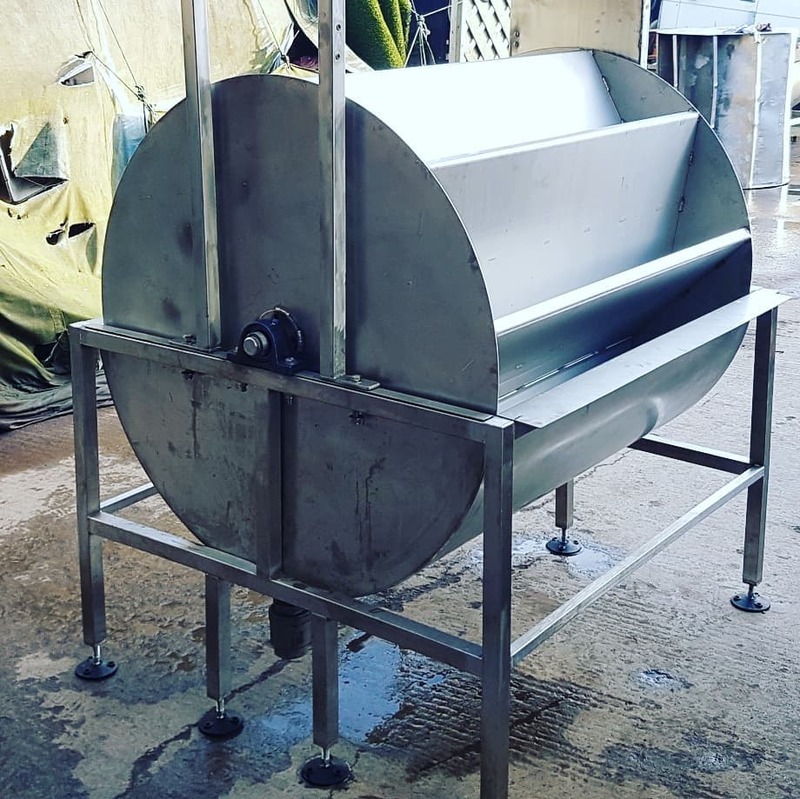 The new heavy duty machine has been made using thicker stainless steel where needed and also the frame has more legs to distribute the weight better. The factory floor was not level so we also fitted fully adjustable feet making the installation easier. 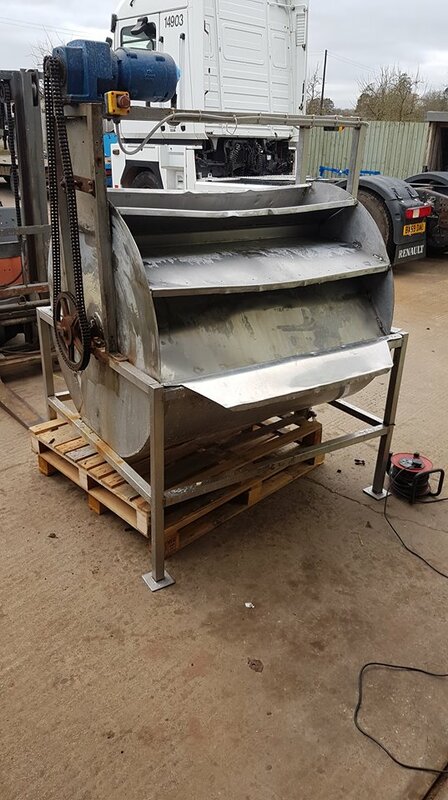 SAS have made and modified/repaired machinery for food on several occasions now around the South West. 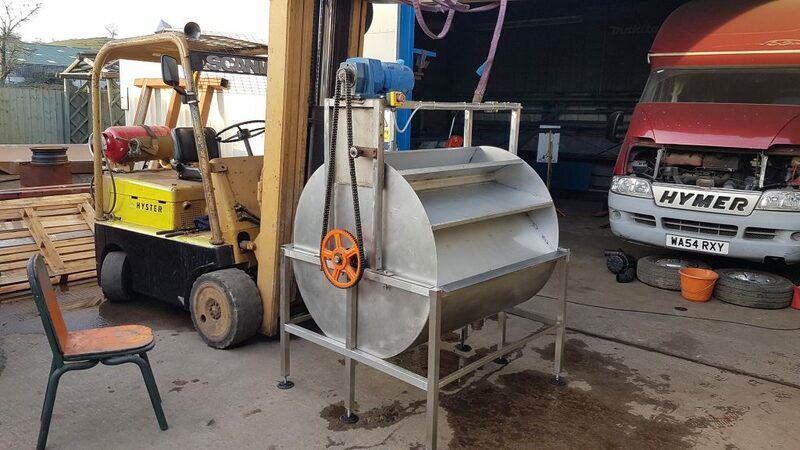 SAS are well known for their food grade stainless steel welding and fabrication. 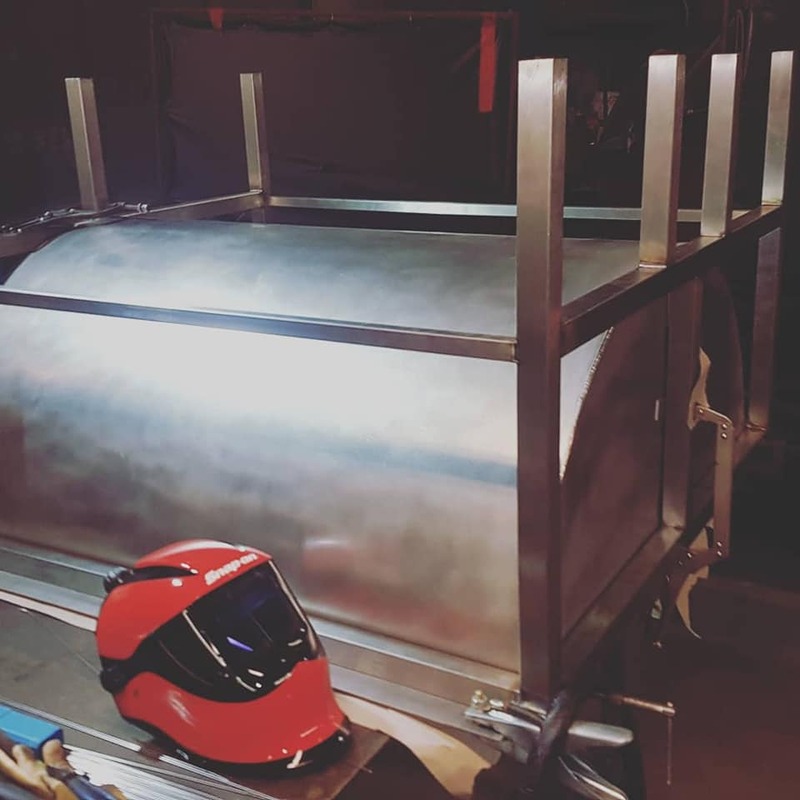 If you need any custom fabrication or repairs to machinary then contact SAS Welding Services we cover Somerset and the South West.